An innovative Christmas website set up by SNP MSP Stewart Stevenson is on track to raise at least £1200 for his Banffshire and Buchan Coast constituency. Mr Stevenson designed and launched the website ourchristmas.fund at the beginning of December as an alternative to sending out Christmas cards to constituents, and using the money saved to donate to local causes. “I have been delighted at the response from the local community to ourchristmas.fund and I hope that people continue to donate and come up with ideas for local causes to contribute to, in the lead up to Christmas. All money collected through the website will be distributed in the New Year and accounts will be published at the end of February showing where the donations have gone. Banffshire & Buchan Coast MSP Stewart Stevenson has welcomed further progress towards extending the right to vote for 16 and 17 year-olds following a meeting yesterday between First Minister Nicola Sturgeon and Prime Minister David Cameron. “During the recent Referendum Campaign, we saw a tremendous engagement in the democratic process by young people which contributed towards the very high turnout figures. First Minister Nicola Sturgeon has expressed confidence that the powers necessary to allow 16 and 17 year-olds to vote will be devolved to Holyrood in time for the next Scottish Parliament elections. Speaking outside Number 10 Downing Street after her first meeting with Prime Minister David Cameron since she took office, Ms Sturgeon said she believed both Scottish and UK governments would give the matter the required focus to allow the franchise to be extended before the 2016 vote. The First Minister said the talks had been “constructive and cordial” and that there was a will on behalf of both governments to work together in the interests of the people in Scotland. 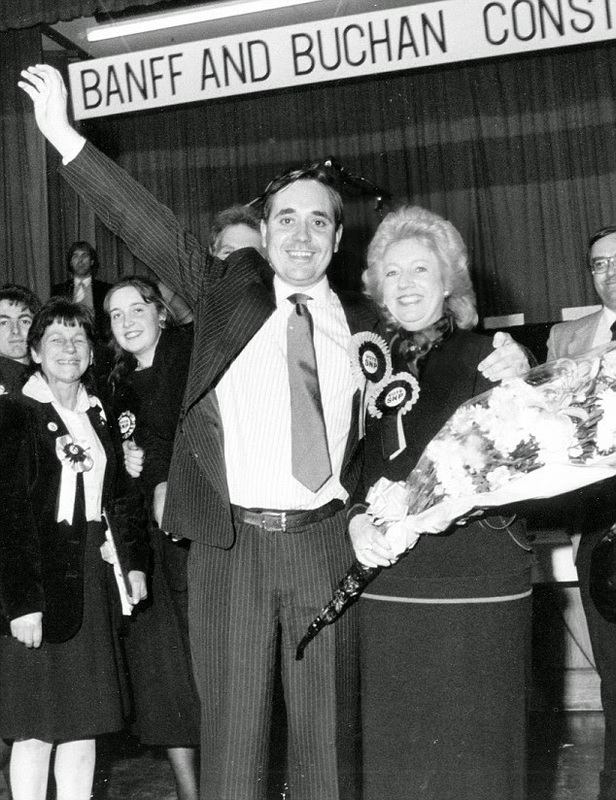 But she warned that the early devolution of the necessary powers via a Section 30 order, would offer a significant early test of Westminster’s desire to implement the wider Smith Commission proposals. “The talks with the Prime Minister in Downing Street were constructive and cordial. Clearly David Cameron and I have big political differences and different views on the constitutional future of Scotland, but there was a real appetite on the part of both to find ways of working together in the interests of the people of Scotland. “Following the meeting, I am confident that we now have the basis of a deal on the necessary devolution of powers to extend the franchise to 16 and 17 year-olds in time for the 2016 election, giving us the opportunity to build on the huge success of the engagement we saw in the referendum. “The process necessary to transfer the franchise powers is not just important because it will extend the right to vote to 16 and 17 year olds in Scotland. It offers a significant early test of the desire on the part of Westminster to implement the wider proposals contained within the Smith Commission. Banffshire & Buchan Coast MSP Stewart Stevenson has said the new model to improve the way that community justice services are delivered in Scotland will see a further devolution of powers to local level. The Scottish Government is transferring the planning and delivery of community justice services to locally to the Aberdeenshire Community Planning Partnership. The changes are intended to make the best use of the £100 million allocated each year to deliver community sentences, support the rehabilitation of offenders, and reduce reoffending. “While recorded crime is at its lowest level for 40 years, there is still more to be done to reduce reoffending. In HMP Grampian, we have a modern facility where the staff within work day and daily to try to ensure that prisoners do not go on to reoffend once they reach the end of their sentences. “That is vitally important work because the investment in time and facilities to do that represents just a fraction of the cost to the taxpayer if former prisoners go on to commit crimes once they are released. Details of the model are outlined in the Government’s response to a consultation published today. The response marks the final milestone before the changes are introduced as part of the Community Justice Bill, with implementation expected in 2016/17. Transferring responsibility for the planning and delivery of community justice services from Scotland’s eight Community Justice Authorities (CJAs) to the 32 Community Planning Partnerships (CPPs). This will ensure criminal justice social workers maintain their links with colleagues in local authorities, while developing stronger links with partners in areas like health, housing and welfare to improve how they work together to tackle re-offending. The Scottish Government will develop a national strategy for community justice and reducing reoffending. This will set the national strategic direction for CPPs to plan and deliver services as well as providing the framework against which progress can be assessed and improvement driven. A new national body will be created to provide leadership and strategic direction for community justice in Scotland as well as providing independent assurance to Ministers on the successes of community justice partners in tackling re-offending. This will give community justice the leadership it needs to continue the progress towards tackling crime and making communities safer. The national body will also have the ability to commission services nationally if required. This will enable partners to maximise their resources and make the best possible use of public money. “Recorded crime is at its lowest level for 40 years and reconviction rates are also decreasing, which is testament to the work of Scotland’s Community Justice Authorities in reducing re-offending in our communities. “Nonetheless, if we are to make further progress in this area it is clear that we need to introduce changes, and that is why we have been working closely with key partners and stakeholders to develop this new model for community justice. “The new model will create a stronger community justice system that will improve collaboration between professionals at a local level to better support offenders and address the root causes of their offending, with leadership from a new national body driving progress. Banffshire & Buchan Coast MSP Stewart Stevenson MSP and Cllr Charles Buchan welcomed Patrick Wanjiru, an MP from the Kiambu County Assembly in Kenya, along with two officials from the Assembly - David Ngure and Angela Kagunyi - to Fraserburgh at the weekend. Mr Wanjiru is the leader of the largest party in the Assembly, which is one of 47 devolved legislatures in Kenya. The visitors were in Scotland owing to a connection that they have with the Starfish Project, which is run by Edwin and Jayne Wiseman. Mr Wanjiru oversees the work of the project in Kenya. “I was honoured to take part in the meeting at the Museum of Scottish Lighthouses, with Partick Wanjiru and Stewart Stevenson MSP. The discussion ranged widely and included Scotland’s political history, constitutional issues, and local Fraserburgh issues. There followed a tour of the Lighthouse, Wine Tower and Museum, conducted by volunteer guide Mike Chandler, which was greatly appreciated. The 1st Fraserburgh Scout Group has received a £2000 grant from the Big Lottery Fund’s 2014 Communities Programme just in time for Christmas. The local Scouts will use the programme’s last tranche of funding to buy camping equipment, so that they can take more people on expeditions. Over 150 sports clubs, schools, scout groups and voluntary organisations across Scotland are sharing in the final £260,635 from the Big Lottery Fund’s 2014 Communities programme. Since 2008, £6.4 million has been awarded to 4180 projects that support involvement in sport and physical activity. Stewart Stevenson, SNP MSP for Banffshire & Buchan Coast, has welcomed the start of work on the A96 bottleneck on the Inveramsay Bridge. Transport Minister Derek Mackay was in the north-east today (Wednesday) to mark the start of the new £10 million scheme that will bring significant benefits for local road users. 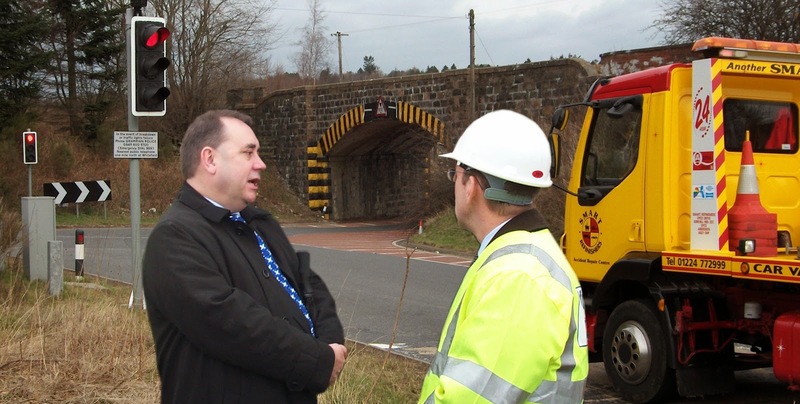 “This is an important part of £1 billion of infrastructure investment in the north-east by the Scottish Government. This scheme will hugely benefit road users in the area by reducing congestion and improving journey times. The A96 project at the Inveramsay Bridge is only part of a package of transport improvement work across the north-east. Mr Mackay added that the Aberdeen bypass scheme will also be delivered earlier than planned, with the completion date now set for winter 2017. The improvement work is expected to be completed in 2016. Stewart Stevenson, SNP MSP for Banffshire & Buchan Coast, has welcomed a new report highlighting that the introduction of the Living Wage and the council tax freeze may be improving health across Scotland. The study by researchers at the Scottish Public Health Observatory (PHO) at NHS Health Scotland found that certain regulatory and tax policies could help tackle health inequalities. Dr Gerry McCartney, head of the PHO, said that in some cases “they will save lives”. “This report provides further evidence of the strong influence government policy can have on tackling inequality. Importantly, it finds that many of the measures being taken forward by the SNP in government are likely to have positive results. “In particular, the report mentions the Living Wage as a policy that is having a positive impact on health. The SNP government introduced the Living Wage in 2011, benefitting thousands of workers covered by Scottish Government pay policy. Since then, the SNP has continued to encourage more businesses to sign up to the Living Wage. “The report also highlights the negative impact that rising council tax can have on health. Under the SNP, council tax has been frozen since 2007, which will not only save families an average of £1200 by the end of the current Parliamentary term, but according to this report will also have a positive impact on health." As the Christmas season gets into full swing Banffshire and Buchan SNP MSP Stewart Stevenson has launched his own festive website to spread the gift of giving in his constituency. The ourchristmas.fund website, is the innovative creation of Mr Stevenson who launched it today (Friday) at 9am. Rather than sending out individual Christmas cards, Mr Stevenson designed his own website to spread Christmas cheer. “Local SNP membership in my constituency now stands at 1300. 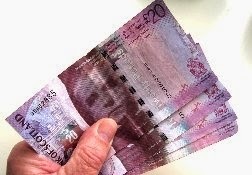 I decided that I would take the money that it would have cost me to send out cards, and invest it in good causes in the Banffshire and Buchan Coast constituency. “At ourchristmas.fund users can donate to any business, school or group of their choice in the local area. It is up to each individual how much they donate, and they suggest which group should receive money and why. I will match each donation made through the website until I reach £1000. For those who would like a Christmas card from their MSP, a card can be downloaded from Mr Stevenson’s website. All money collected will be redistributed in the New Year and accounts will be published at the end of February showing where the donations have gone. Stewart Stevenson, SNP MSP for Banffshire & Buchan Coast, is supporting the non-commercial campaign Small Business Saturday UK which takes place this Saturday, 6th December. For the second year in a row, the campaign hopes to have a lasting effect on the local economy by asking people to shop within their own communities. Over £460 million was spent in small enterprises across the UK on Small Business Saturday in 2013, and the campaign is hoping to build on their success this year. “I am very happy to be supporting Small Business Saturday. Small businesses are at the heart of Scotland’s economy and it is vitally important that we back them by shopping local whenever we can. “The Banffshire and Buchan Coast has a wide variety of smaller enterprises, shops, and entrepreneurs in the retail and food and drink industries. It is an exciting area to shop local, with the added benefit that you are also boosting the local economy. “It doesn’t matter if you’re putting in an order for Christmas dinner, buying a gift for a loved one or meeting a friend for a coffee or beer, we’d love it if Scots supported Small Business Saturday for a second year. Stewart Stevenson, SNP MSP for Banffshire & Buchan Coast focused attention on the effects that Welfare Reform has had over the past six years at General Questions today (Thursday) in the Scottish Parliament. Mr Stevenson asked Minister for Housing and Welfare Margaret Burgess in the event that welfare and social policy is devolved to the Scottish Parliament as it should be under the Vow, how the government would use that to tackle poverty and create a fairer society. “Our proposals will focus on equipping the Scottish Parliament with the powers to create more jobs, tackle inequality and protect public services in order to create a wealthier and fairer society." Stewart Stevenson, SNP MSP for Banffshire & Buchan Coast, is delighted at the news that £20,000 has been awarded to King Edward Hall Committee and Fordyce Community Association in his constituency. An Awards for All grant of £10,000 from Big Lottery Fund will go to the King Edward Hall Committee in Banff. The hall is used by many groups in the local community, and the funding will be used by the committee to refurbish the kitchen. Fordyce Community Association will also benefit from a £10,000 Awards for All grant and this money will be used to finish refurbishing the village hall by improving the toilet facilities. “My congratulations go to the King Edward Hall Committee and Fordyce Community Association in my constituency, who work tirelessly to serve their community, on being rewarded with such substantial grants from the Big Lottery Fund. Awards For All Scotland gives groups a chance to apply for a grant of between £500 and £10,000 for projects that aim to help improve local communities and the lives of people most in need. We will fund a range of projects which involve bringing local people together, helping people learn, improving local spaces and getting people more active. Across Scotland, 103 community groups are sharing National Lottery funding worth £739,234. Stewart Stevenson, SNP MSP for Banffshire & Buchan Coast has paid tribute to First Minister Alex Salmond in a speech today (Tuesday) to mark the end of his time in office. Mr Stevenson compared the outgoing First Minister to US President John F. Kennedy as a man who was committed to a better future for his country and a “formidable challenger of the status quo”. Mr Stevenson, who has been a friend of the First Minister for the past 40 years, drew on personal anecdotes gleaned from Mr Salmond growing up in his home town of Linlithgow, his fervour in the lead up to the referendum, and his focus on the importance of people. But he stressed that the move for Mr Salmond was a transition rather than a farewell, wishing him good wishes, thanks and love from his political colleagues. Stewart Stevenson, SNP MSP for Banffshire & Buchan Coast, led a debate today (Wednesday) on the importance of school bus safety across the country and welcomed plans for a Glasgow pilot on improved school bus signage. “Mr Beaty has done a sterling job in bringing attention to the need for further safety measures to be taken on school buses across the country. Following the tragic accident which left his granddaughter permanently disabled, Mr Beaty has made it his mission to ensure that this kind of incident, and worse, are consigned to history. Transport Minister Keith Brown announced today that Glasgow City Council will take forward a pilot on improved school bus signage over the next few months. The Scottish Government will provide evaluation support to the council, to build an evidence base assessing the benefits of enhanced school bus signage. The findings will be used to explore how best support implementation by local authorities more widely across Scotland. The Glasgow pilot will build on the work done by the Aberdeenshire pilot in 2010. “I have been very unimpressed with Transport Scotland – they have had 10 years to put something in place regarding this, and all they have done is put in recommendations. Local MSP Stewart Stevenson has praised the work of Gardenstown Playschool following the publication of a joint Education Scotland and Care Inspectorate inspection report. The Playschool received seven excellent and two very good ratings. “The work of the staff at Gardenstown Playschool across the board has been recognised. It is particularly pleasing to note that the children are motivated and that they are making excellent progress with their early language and mathematics. “The staff working together as a team has also been remarked upon in the report, as well as their positive interactions with the children. A motion tabled by Banffshire and Buchan Coast MSP Stewart Stevenson is to be debated in the Scottish Parliament on Tuesday, 4 November. The motion refers to the work undertaken by Gardenstown resident Ron Beaty in relation to school bus safety. “Ron Beaty has been petitioning the Parliament on this issue since 2005- with this current petition having been lodged in 2009. “This is about changing the culture surrounding school bus safety. We simply have to stay on the case and find a method by which we can place a duty, if not necessarily a legal requirement, on all our local authorities to do more. Stewart Stevenson, SNP MSP for Banffshire & Buchan Coast, has welcomed a £1981 award from Big Lottery Fund’s 2014 Communities programme to Brighter Horizons (Bachlaw) Limited in Banff. The group will use the funding to offer weekly free football training sessions, as well as mentoring, guidance and information. 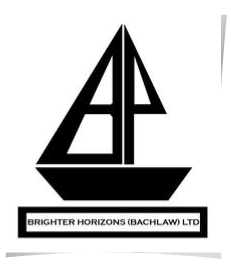 Brighter Horizons is a non-profit organisation that supports young people and their families in the Banff Academy catchment area. 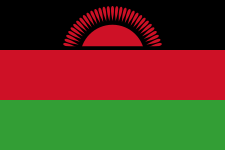 Bright Horizons provides social, spiritual and recreational opportunities, learning and support through community projects, a global citizenship education programme and fostering service. Moray’s MSP, Richard Lochhead, and MP, Angus Robertson, have welcomed the dropping of proposals in Moray Council’s Sustainable Education Review to close rural schools across Moray, including Milne’s High School. “I pay tribute to the campaigners for in communities across Moray who have put forward very strong arguments for the retention of their schools. I have met with many parents and community representatives in recent weeks and months and I know that my SNP Councillor colleagues in Moray have looked at a significant amount of information from many sources including the community submissions. This decision should now bring stability to those communities whose schools were threatened. “SNP Councillors have made clear their view that the legislative context would prevent the closure of schools, many of which are performing very well. In Government the SNP has been very clear that we would not support the closure of rural schools unless it was on clear educational grounds and we introduced legislation to that effect. “I have met with campaigners in the coastal schools around Buckie and they made very good arguments refuting the conclusions of the Council’s consultants. I am delighted that those arguments have been heard and, with the unanimous support of SNP councillors, there will now be no rural school closures anywhere in Moray for the foreseeable future. “This decision is the right result for Moray communities. Schools are a hugely emotive issue because they are at the heart of our communities and that was clearly evident from the huge reaction in Moray against school closures. “The SNP took a stand against school closures and, as a result, several administration councillors backed them up with the convener, in effect, proposing the motion originally put forward by SNP Councillors. Stewart Stevenson, SNP MSP for Banffshire & Buchan Coast, has welcomed the change in leadership at NHS Grampian as a way to ensure that the primary focus on patient care is maintained. Current NHS Education for Scotland Chief Executive Malcolm Wright will take up the post of interim Chief Executive of NHS Grampian following the resignation of outgoing Chief Executive Richard Carey. “Richard Carey has served the NHS for many years and I wish him well with his early retirement. “The announcement of a change in leadership at NHS Grampian is a welcome step towards resolving some of the tensions that have been allowed to develop within the health board. “The priority of the NHS must always be the care of patients and I hope that this change in leadership will help to ensure that nothing interferes with that focus." The NHS Grampian resource budget has increased by over £229 million since the SNP took office, with NHS Grampian’s share of the total territorial health board resource budget rising from 9.1 per cent in 2006/07 to 9.6 per cent in 2015/16. “NHS Grampian’s budget has been protected and increased since the SNP took office, with the budget rising by over £229 million in that time - despite a 6.7 per cent real terms cut to Scotland’s resource budget since 2010/11. “Those resources have helped to deliver progress, but fresh leadership at the health board will help NHS Grampian meet the challenges it faces in the years ahead. In 2015/16 NHS Grampian’s resource budget is set to rise by 4.4 per cent to £812.6 million – the largest increase of any health board. Stewart Stevenson, SNP MSP for Banffshire & Buchan Coast, criticised Conservative proposals to address the attainment gap in Scottish schools today (Wednesday), highlighting the number of schools in Moray that are currently under review. “In Moray in my constituency, the future of schools in Findochty, Portknockie, Portessie, and Cullen, Rothiemay, Crossroads and Cluny school, and nearby at Portgordon and Newmill are all under review. 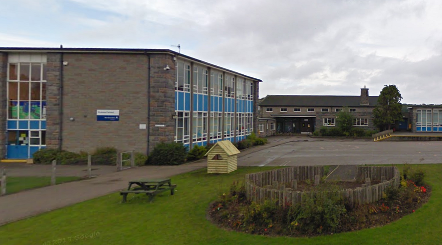 Milne’s High School in Fochabers is under threat of closure. “The Tory motion believes in maximum choice – are schools in Moray with good educational attainment being supported by what’s being proposed? No. They are threatened by proposals to close, to merge, to reduce their schools – reducing diversity and reducing choice." “No educational case has been made for the changes proposed in Moray – they are not failing schools but those with a good educational record. Nor does the economic case stand any scrutiny. “As many of these schools are below the 70 pupil level where additional funding trips in, if the schools proposed for closure were to close, Moray would sacrifice a seven figure sum in funding. “These moves are not justified in diversity, not justified in choice and hardly likely to be justified on economic grounds. Fundamentally there is no indication from the community that they want this change to be made and there was a local march last weekend against some of these proposals. The report by Caledonian Economics recommending the proposals for Moray schools will be discussed by local councillors on Monday. SNP councillors plans to oppose the plans for school closures in Moray. Banffshire & Buchan Coast MSP Stewart Stevenson has welcomed new plans to reduce the drink-drive limit on Scotland’s roads in time for Christmas – in a move to make Scotland’s roads safer and bring Scotland into line with much of Europe. Under plans announced by the Scottish Government, the blood alcohol limit in Scotland would be cut from 80mg per 100ml to 50mg per 100ml which brings Scotland into line other European countries including France, Spain and Germany. Estimates suggest that around one in ten deaths on roads in Scotland involve drivers who are over the legal alcohol limit. “Drink-driving has been a scourge on Scotland’s roads for too long – leading to completely unnecessary injuries and deaths - devastating families and communities across the country. It is absolutely right that the Scottish Government is to take this decisive action. “Around one in ten deaths on Scotland’s roads involve drivers who are over the limit – and having even one drink is enough to make you three times as likely to be involved in a fatal car crash. “That’s why lowering the blood alcohol limit is the right thing to do – making our roads safer, saving lives and preventing more families from having to deal with losing a loved one through drink driving. “I have said before that I am determined we do everything we can to make our roads safer and save lives. Drink driving shatters families and communities and we must take action to reduce the risk on our roads. “The latest estimates show that approximately one in ten deaths on Scottish roads involve drivers who are over the legal limit and research shows that even just one alcoholic drink before driving can make you three times as likely to be involved in a fatal car crash. As a result, 20 families every year have to cope with the loss of a loved one and around 760 people are treated for injuries caused by someone who thought it was acceptable to drink alcohol and get behind the wheel and drive. We cannot let this continue. “That’s why I have introduced legislation to lower the drink drive limit in Scotland so that, subject to parliamentary approval, new laws will be in place in time for the beginning of the festive period. “This new limit will bring Scotland into line with most of Europe and send a clear message to drivers who continue to ignore the warnings that there is never an excuse to drink and drive. The move has been welcomed by road safety campaigners. Awards for All Scotland have awarded £10,000 to Crimond Primary School. The grant will fund the installation of new play equipment and safer surfacing for pupils. The award is one of over 280 grants recently given to community groups across Scotland. Grants ranging from £500 to £10,000 were awarded to projects that help bring communities together. Almost 7,000 homes and businesses in Moray and Banffshire are set to receive a high-speed broadband connection as part of the Digital Highlands and Islands project which is supported by the Scottish Government. Led by the Highlands and Islands Enterprise, engineers will soon begin installations across Scotland. Locally, Rothiemay, Longmorn, Clochan, and Rothes will receive the technology for the first time. Additional improvements will be made to the existing networks in Buckie, Elgin, Forres, and Keith. “I am pleased to see the continued expansion of high-speed broadband to Banffshire & Buchan Coast and I’m grateful to the Scottish Government for their commitment to this project and the rural areas of my constituency. “The civil engineering project underpinning this new network is not just one of the biggest in Scotland but is among the most complex anywhere in Europe. Local representatives Stewart Stevenson MSP and Fraserburgh & District SNP councillor Charles Buchan have welcomed the installation of vehicle activated chevrons at the bend at Cortes. Following an accident in June 2013 which saw a lorry overturn causing serious damage to a local resident’s home, Mr Stevenson was contacted by concerned constituents and subsequently arranged a meeting with Transport Scotland and BEAR Scotland officials to explore how best to improve safety at the bend. The vehicle activated chevrons were installed by BEAR Scotland on 3 October 2014. “Following the terrible accident that took place at Cortes in June 2013, I am pleased that Transport Scotland and BEAR Scotland have listened to the concerns of my constituents. “I'm pleased that BEAR Scotland has installed these state of the art chevrons, warning traffic of the really dangerous bend at Cortes on the A90 Fraserburgh to Peterhead road. “They have been some time in coming and some solution to the problem was really needed. “Let us hope that they make all drivers aware of the peril of taking the corner at more than 30 mph. Local MSP Stewart Stevenson has officially opened Moray Hearing Care in Buckie. Jo Farquhar, who has worked in the audiology industry for over 35 years, is the director of the practice, and also works as the audiologist. “I’m delighted to open this excellent facility and wish Jo every success in her venture. “If you get a bad leg, say, you can easily see what’s wrong, but that’s not the case with deafness - you can’t just look at someone and see that they’re deaf. Stewart Stevenson, MSP for Banffshire & Buchan Coast, has welcomed SEPA’s launch of its new Floodline flood warning service. “I am aware of the devastating impact that flooding can have on people’s lives. Homes and places of work can be severely affected by flooding. I therefore welcome this initiative by SEPA giving people the opportunity to sign up for warnings of potential flooding. 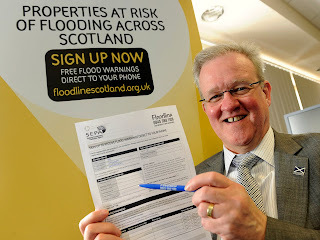 People can sign up for the Floodline Scheme by visiting http://floodline.sepa.org.uk/floodingsignup/ or by calling 0845 988 1188. Labour plans to continue with the Tories’ child benefit cap could cost families in the Banffshire and Buchan Coast as much as £2000 in figures revealed this week. The move has frustrated local SNP MSP Stewart Stevenson who believes that this is an example of why decisions on welfare should be made in Scotland. “Extending the child benefit cap will impact the wellbeing of children and hit ordinary families in the pocket – families with three children will suffer a cumulative loss of over £2,000 by 2016/17. At a time when many families are already struggling to make ends meet, we need to enable our families instead of hinder them. New analysis from Scottish Parliament researchers shows that under Labour’s plans to extend the Tory child benefit cap for an additional year, a family with one child will cumulatively lose out on more than £875, a family with two children will lose almost £1,500, and a family with three children will lose over £2,000. These changes would have a significant effect on families across the Banffshire and Buchan Coast, which is made up of 8075 families with over 13,000 children altogether. With the majority of these children under the age of 10, the outcome of the benefit cap will hinder the wellbeing of the next generation. Labour’s support for the child benefit cap comes despite the fact that when the Scottish Parliament debated the Tory cuts to child benefit in January 2013, the Labour amendment to the Scottish Government motion would not have removed the line that “cuts to child benefit will directly impact on the wellbeing of children across Scotland”. Banffshire & Buchan Coast MSP Stewart Stevenson has welcomed £500,000 for researchers at Dundee University to fund an innovative five year clinical research project into prostate cancer. The six-figure sum provided by the Scottish Government, Prostate Cancer UK and The Movember Foundation will enable researchers to look at ways to identify how advanced a tumour is, thus reducing the number of unnecessary biopsies and improve diagnosis of aggressive prostate cancer. Prostate cancer is the most common cancer in men in Scotland and Mr Stevenson supports Prostate Cancer UK’s national campaign, ‘Men United v Prostate Cancer’, which uses the language of sport to engage men in the battle against the disease. “Each year almost as many men are diagnosed with prostate cancer as women are diagnosed with breast cancer. But research into prostate cancer has suffered from a historic legacy of neglect, leaving tests and treatments trailing decades behind other common cancers - men are dying needlessly due to inadequate methods of testing for the disease. Work on the research project will be led by Ghulam Nabi, from the University of Dundee’s School of Medicine. Mr Nabi’s project is to investigate whether MRI and ultrasound scans could be used to reduce the number of biopsies required to confirm a prostate cancer diagnosis, and more easily identify the difference between aggressive and non-aggressive prostate cancers. “It is my hope that the work I am able to do with this funding will lead to more streamlined diagnoses, with fewer biopsies and the potential to tell the difference between aggressive and non-aggressive forms of prostate cancer. Stewart Stevenson, SNP MSP for Banffshire & Buchan Coast is delighted that Aberdeenshire Sailing Trust has received a £2,000 award from the Big Lottery Fund’s 2014 Communities programme. The charitable Trust plan to buy a double-handed dinghy with the new funds, so that they can grow their membership numbers. “I am very pleased that Aberdeenshire Sailing Trust has been awarded this funding from the Big Lottery Fund’s 2014 Communities programme. The 149 grants totalling £257,977 from the Big Lottery fund’s 2014 Communities programme across Scotland will see all ages of people try out new activities, boost their skills and train to become sporting stars of the future. The revelation that APD charges are behind the decision by BA to cut the Aberdeen to London City route has been described as “the final wakeup call” for North East politicians. Malcolm Bruce has previously campaigned for a cut to Air Passenger Duty, but despite his elevation to Deputy Leader of the LibDems in the House of Commons, the tax remains in place. Research revealed by the SNP last week showed that before 2007, a family of four going on holiday to Spain would have paid just £20 in APD for the return trip. The same family making the trip today face a surcharge of £52. For long-distance flights the cost is even more marked. In 2007 a family of four travelling to Florida would have paid £80 in APD for their trip. Today the ‘tourism tax’ would cost them £276. Scotland’s Future sets out plans to cut APD in Scotland by 50% before moving towards the complete abolition of the charge that discourages airlines from flying to and from Scotland. “These remarks from Keith Williams are deeply telling as once again Westminster’s Air Passenger Duty has damaged Scotland’s economic interests. “The Aberdeen to London City route is an important service, but is trying to compete with one hand tied behind its back thanks to the punitive tax applied to such services. “The fact is that despite repeated opportunities and calls to act, all we have seen from Westminster is Air Passenger Duty rise and rise. “It is abundantly clear that the only way we will get action on APD is with a Yes vote in September. “Keith Williams is also right that all North East politicians – including Sir Malcolm Bruce – should recognise how damaging APD is to the economy of this part of Scotland and be actively campaigning for its abolition. This must be the final wakeup call for all North East politicians. “But the fact that despite his promotion to Deputy Leader, Malcolm Bruce has been unable to make any inroads into cutting APD shows that it is only with a Yes vote that we will see real progress. 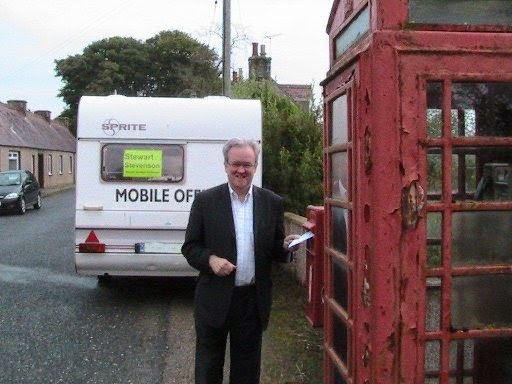 Stewart Stevenson, SNP MSP for Banffshire & Buchan Coast has welcomed the announcement today (Monday) that a Rural Connectivity Commission will be set up after independence to look at improving mobile and broadband coverage, postal services and transport links for rural communities. Details regarding the Commission have been published in the constitutional paper, ‘Connecting Rural Scotland.’ The proposals are that it will be an expert body, considering how to deliver a better deal for rural communities and businesses, while ensuring clarity for industry and stability for investors. The paper will also confirm that on independence, the Government will take steps to ensure that all coastal areas of Scotland will receive 100 per cent of the net income from the Crown Estate seabed leasing revenues. “There is huge potential to develop our rural communities and bring them into the 21st century with modern technology. Often those outside urban areas are poorly served by the market and the UK government when it comes to providing these services that are taken for granted by so city dwellers. The paper outlines five areas where independence could improve rural connectivity, including improved digital connectivity; fairer parcel and delivery charges and ownership of the Royal Mail; fairer fuel prices and energy bills; better transport links and achieving the potential of rural renewables. Banffshire & Buchan Coast MSP Stewart Stevenson has welcomed a total of £19,000 from the National Lottery’s small grants scheme Awards for All for two groups in his constituency. Buchanhaven Primary School has received a £10,000 Awards for All grant which they will use to buy stage curtains, audience seating, stage equipment and a loop sound system, so that lunchtime and after school clubs can get involved in performing arts, and so that the school can put on shows for the community. An Awards for All grant of £9,000 has also been given to Royal Tarlair Golf Club. They plan on using the money to refurbish the club’s existing rundown toilet provision, and install a dedicated disabled access facility in the organisation’s club house. “I am delighted to welcome this funding for these two very worthwhile projects in my constituency. 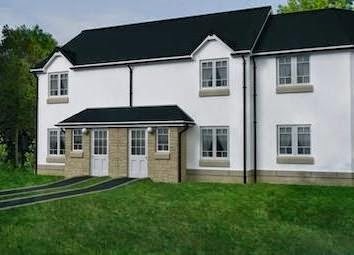 The award for Buchanhaven Primary School will benefit the whole community as it will be able to put on shows and encourage youngsters to get involved in performing. “These grants totalling over £1.2 million will benefit over 160 groups across the country. Awards for All proves that the smallest amounts of funding can often make the biggest difference to people’s lives. Figures showing that the number of C.diff infections acquired by hospital patients has reached the lowest level on record show that the battle against healthcare acquired infections (HAIs) is being won. In the first quarter of 2014, Clostridium difficile incident fell to 91 cases in patients aged 15-64 and 270 cases in patients over 65 – the lowest numbers for each age group since monitoring began. Meanwhile cases of MRSA and MSSA in Scotland’s hospitals also fell during the same period to reach the second lowest level since records began. Since 2007, cases of C.diff in patients over 65 have fallen by 84.8 per cent while the number of MRSA cases has dropped by 87.1 per cent. “Preventing healthcare acquired infections has been a priority for the SNP since taking office and these positive figures show the real successes that the NHS is achieving in this area. “The number of C.diff infections in hospitals has fallen to the lowest level on record while MRSA and MSSA cases are also down. “That success does not happen by accident and I would pay tribute to the hard working NHS staff across Scotland who have worked so hard to stamp out healthcare acquired infections. “Of course there can be no room for complacency. No matter how positive these figures are, we want to ensure that further progress is achieved and that there is never a return to the situation we inherited when the SNP first took office in 2007. Local Parliamentarians have welcomed the visit of the Queen’s Baton Relay to Banffshire. “The Queen’s Baton Relay has been quite a spectacle and reminds us that the Commonwealth Games is all about community and shared spirit. "The atmosphere generated by the crowds was truly exciting as the baton was carried through with lots of cheers and smiles. It was great to see so many children joining in the celebrations as well as the wider community. “The Commonwealth Games is a national event and its arrival in Banffshire reminds us that this sporting showcase is for everyone in all parts of the country and people of all ages are being inspired by Scotland hosting such an international event." “The baton has been transported through Banffshire and Moray by air, sea and land bringing together people from many ages and backgrounds, from local volunteers to sports personalities to schoolchildren and service personnel. Banffshire & Buchan Coast MSP Stewart Stevenson’s recent surgery tour of villages across his constituency took him into almost every nook and cranny of his sprawling constituency. Some villages remain resolutely the same in the face of the march of time, others expand with new developments or, sadly, lose the local shop or other service. So it was with some concern that the MSP noticed the post box at Forglen had been removed and no trace of it remained. “Forglen has been on my surgery tour schedule since I was elected in 2001 and it’s a beautiful little community. “My mobile office is always parked up beside the village phone box and the adjacent post box. The phone box has now gone which is perhaps not surprising in this age of mobile telephones, but I was surprised to see the post box had vanished as well. It’s not unusual for post boxes to be relocated, but this one seemed to have gone completely, so I contacted Royal Mail. Stewart Stevenson, SNP MSP for Banffshire and Buchan Coast, has applauded energy proposals that could create a billion pound boost to the Scottish economy with significant benefits for the North-east after a vote for independence. He welcomed the Element Energy report published last week which stated that Scotland’s infrastructure, skills base, potential storage and enhanced oil recovery sites in the central North Sea could create a Carbon Capture and storage (CCS) hub with billions of pounds worth of benefits for the Scottish and North East economy.